LIBERTY ISLAND -- A 911 call reporting a bomb threat prompted the evacuation of the Statue of Liberty Friday, closing the monument for the day on Friday. The monument and Liberty Island is expected to reopen Saturday. The National Park Service, which maintains Liberty Island, tells Eyewitness News it was advised that a 911 caller stated he or she going to blow up the Statue of Liberty. The statue was immediately evacuated, and all personnel and visitors are safe. Renee Stoll reports from Liberty State Park. United States Park Police personnel swept the statue, and K-9 units alerted on an area of interest near the lockers at the base of the statue. Officials then determined it was in the best interest to evacuate the island. Hundreds of people could be seen standing outside the monument, waiting for ferry boats to take them back to the mainland. The island has since been cleared of all visitors and personnel. The locker was found to be empty, no explosive devices were found, and the threat was deemed to be unfounded. 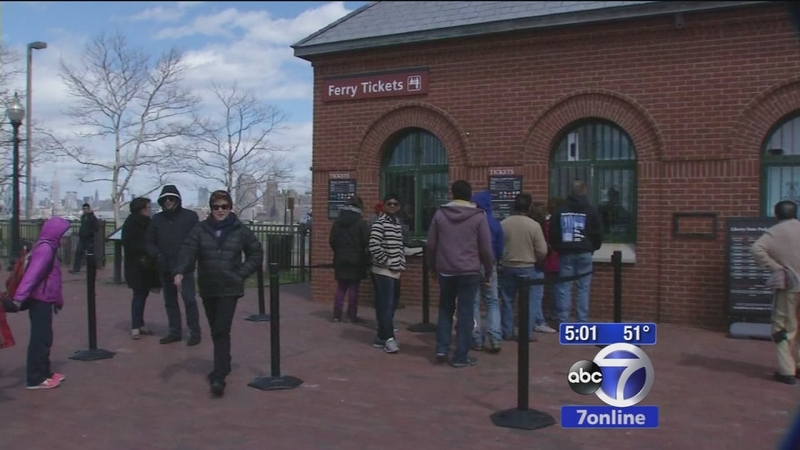 Those holding ferry tickets for Statue Cruises today may call 877-523-9849 to inquire about rebooking.